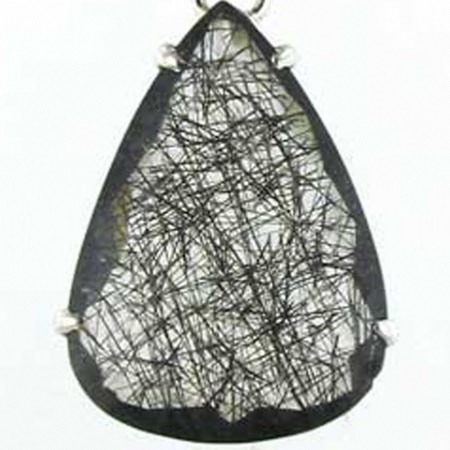 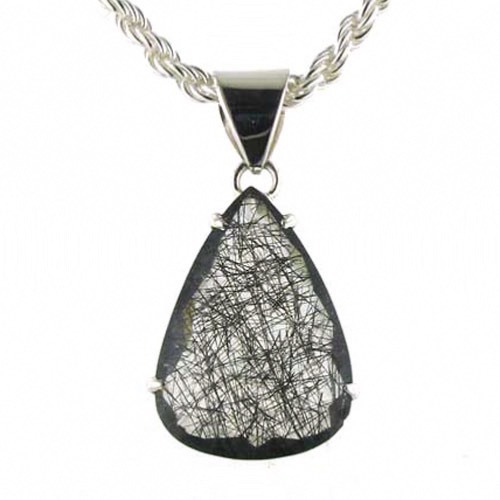 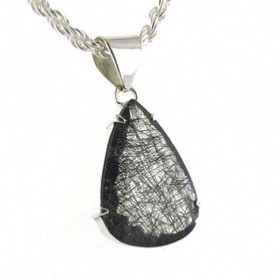 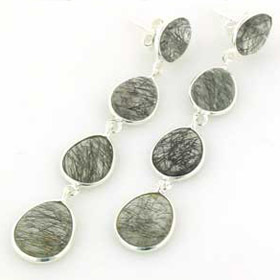 Large silver black rutilated quartz pendant. 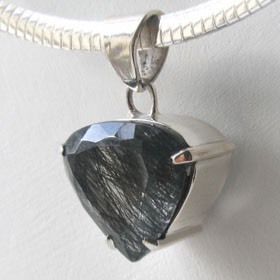 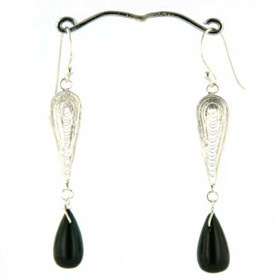 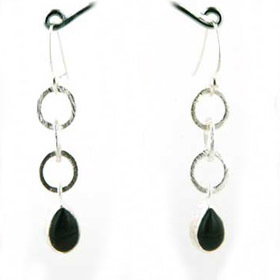 This wonderful faceted pear drop is a chunky gemstone beautifully claw set in plain sterling silver. 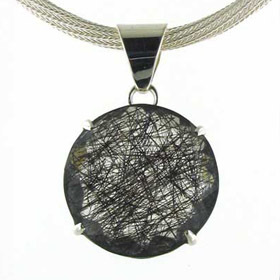 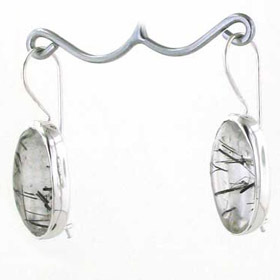 The rutilation is fine and even, suspended in clear rock crystal. 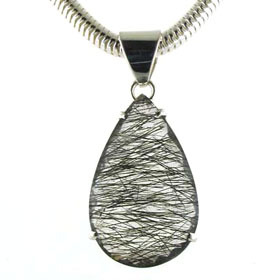 The gemstone is diamond cut and glitters as the light catches it. 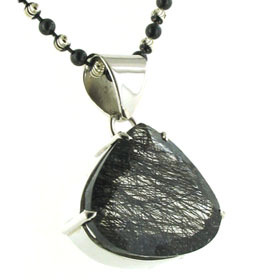 They are exceptional individual pieces. 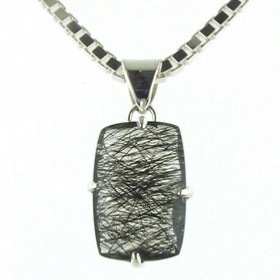 To choose a chain to complement this pendant, see our extensive collection of Italian sterling silver chains. 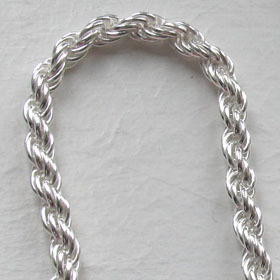 The chain shown with this pendant is our 4mm rope chain (see below).